It is officially summer break. 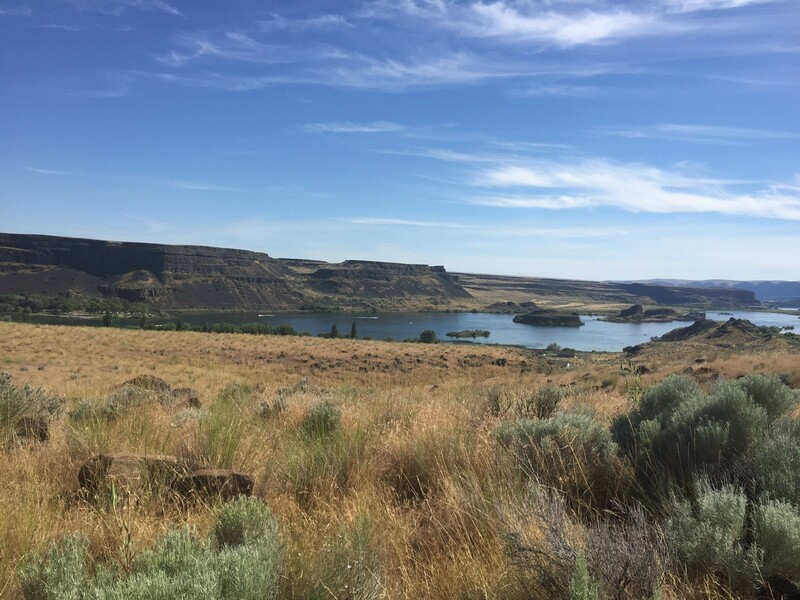 Camping is a great way to kick off the summer, especially when you get to explore somewhere new. 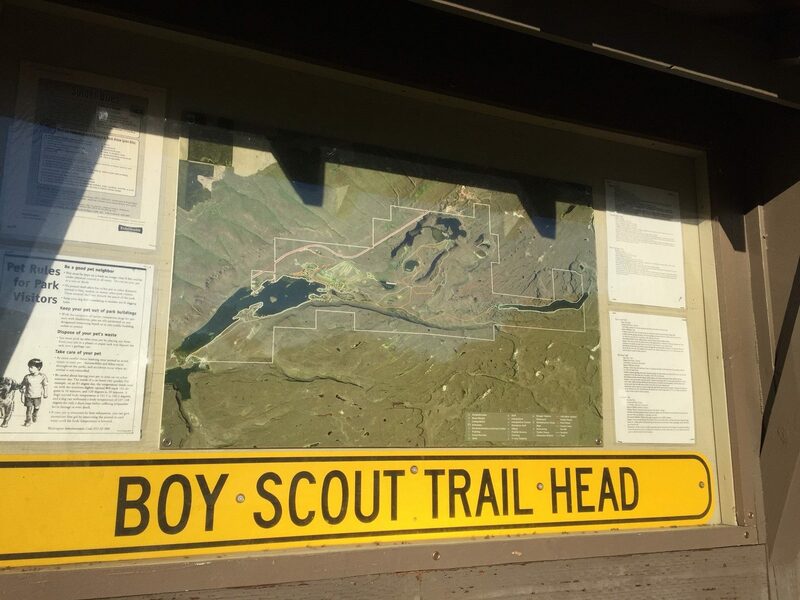 This camping trip was planned by my oldest son’s BSA troop. It is their annual kick off to summer. 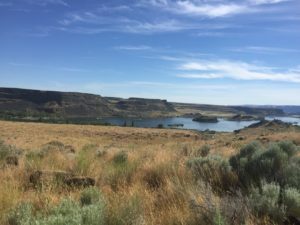 We spent four days and three nights at the Sun Lakes/ Dry Falls State Park. 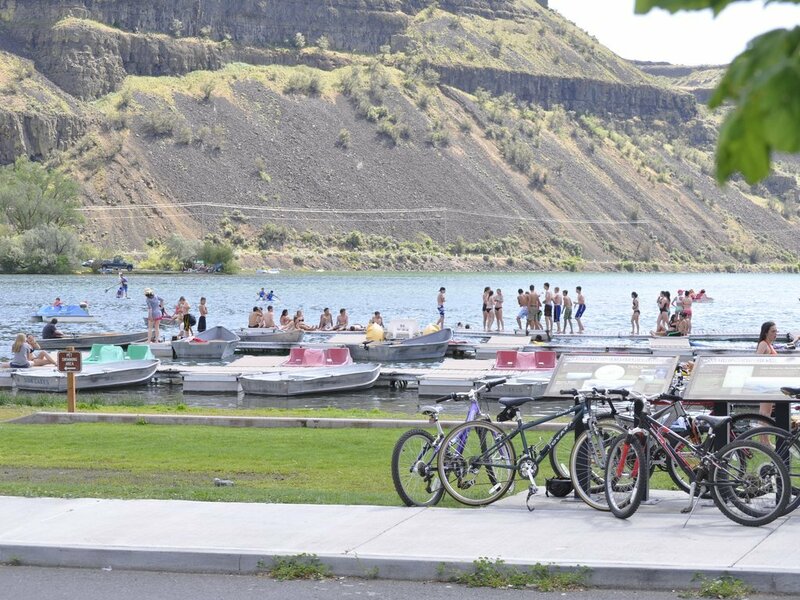 The park is set in the valley of historic Dry Falls. One of the scouts commented it looks like a mini-Grand Canyon. The lakes are surrounded by cliffs that were once covered by water, forming waterfalls that dwarfed Niagara Falls. The park has a lot to offer. There is a camping area that has over 200 camping spots, a resort that has a general store, snack bar and boat rentals, a golf course, and a day use area with playground. There are three lakes within the park. 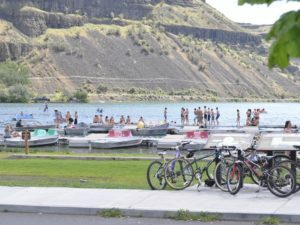 There are also several swimming, hiking and fishing spots within the park. The camp grounds are very nice. There are many trees so that almost every site has some shade throughout the day. There were grassy fields between the loops of campsites that were perfect for scout games. Below is a photo of one of the group sites. This site rents for $1.50 per scout and there is unlimited parking. The camp rangers were very friendly to our scouting group.The restrooms were well maintained and placed sporadically throughout the sites. 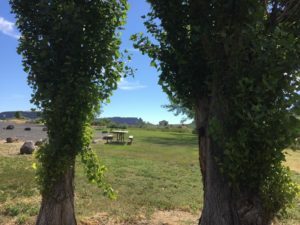 The RV sites were near our sites. The RV sites all had power outlets, so hearing lots of generators was not an issue. We were allowed to have campfires in camp. We cooked many meals over the fire. We made Mountain Man Breakfast, hot dogs, and s’mores. 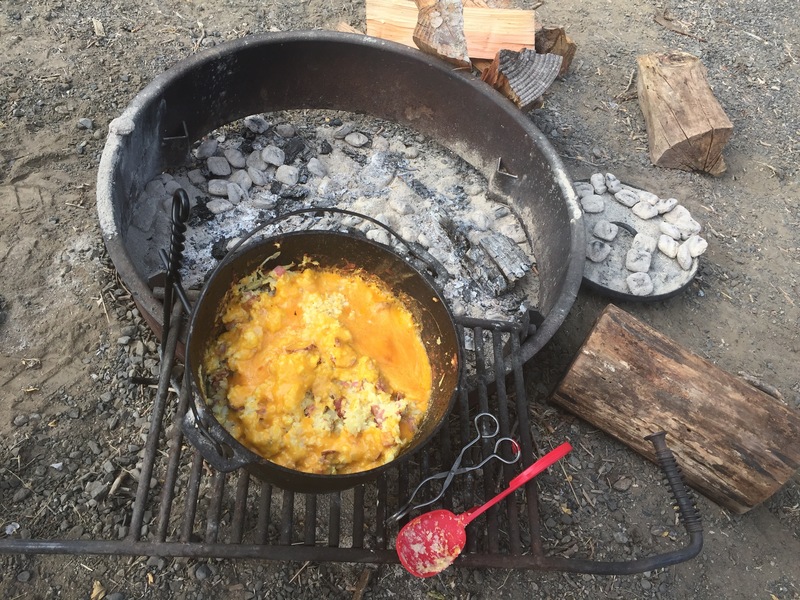 Check out the recipe for Mountain Man Breakfast here. On our last morning, we went for a hike after packing up. The hike was 1.28 miles. It was easy going but hot. There are also warning signs for snakes and spiders. 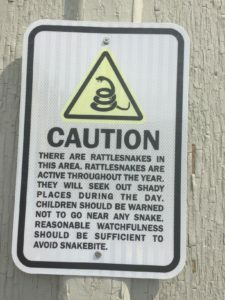 One of our scouts claim they heard a rattle snake, but this was not verified by the Scoutmaster! Every Boy Scout trip needs some educational outings. There were two free outings that we went to during our weekend. There were also others nearby that we just didn’t have time for. We went to Dry Falls and Grand Coulee Dam. 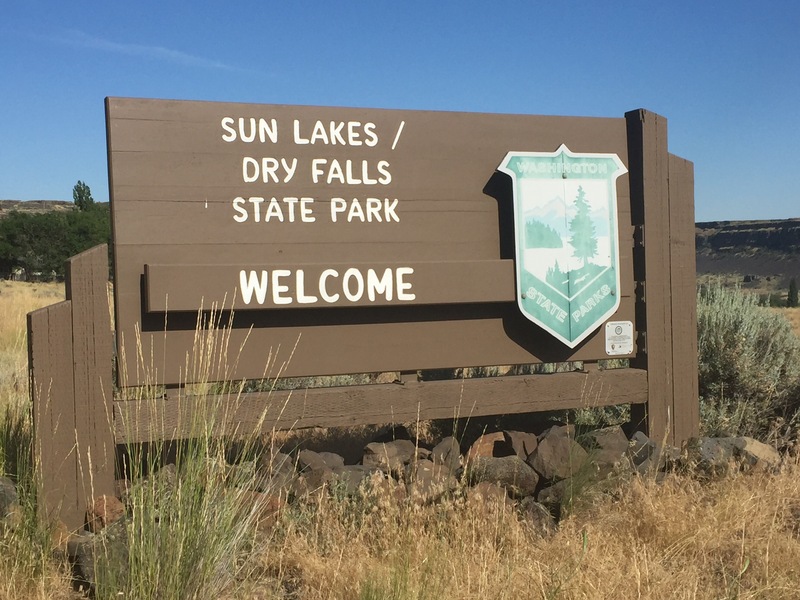 Dry Falls is a scenic viewpoint and visitors center. The visitors center is free and explains the history of the land. There are photos, a short movie, a topographical map and souvenirs. Outside of the station are food vendors, which include some very delicious ice cream! The staff were very friendly and were able to quickly scoop up 20+ ice cream cones. The Grand Coulee Dam has a visitors center and laser light show. The visitors center includes many exhibits and displays that share the history of the dam and the effect it had on the surrounding landscape. The visitors center is open until the light shows starts at 10:00. (times vary depending on time of year.) The Dam is just under 1 hour away from the camp grounds. Watch out for deer on your drive home. We spotted one on the road as we zipped by when there wasn’t a shoulder to swerve onto. Luckily the deer jumped away from our vehicle! We spent much our time at the Sun Lakes Resort, a privately owned and operated resort within the park. The Resort has a general store and boat rentals. The boat rentals are $15 per hour. They have a great dock for fishing and the fish were plentiful. We caught 19 fish over the weekend. They also have a roped off swimming area, but no lifeguard is on duty. The resort is within walking distance but the boys preferred to ride their bikes. Overall, it was a great weekend and I strongly recommend the adventure. Next year, I hope we have time to visit the Lenore Lake Caves. Let me know if you have been there and what you would recommend for next year. 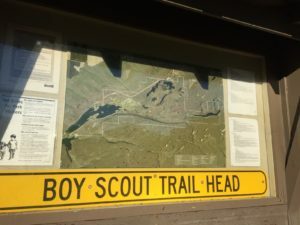 This entry was posted in Boy Scouts, Camping, Scouting. Bookmark the permalink.